Flats help us to deal with gradients, which are variations in the light level of the background of our astrophotographs . The ideal is an even background where no part is darker or lighter than another by a very small amount, ie. flat. Variations from a completely flat and even background are referred to as gradients and they are generally caused by something affecting the field being photographed, street lighting, your neighbour’s security lighting, the light dome over a town, moonlight, haze, etc., and can usually be dealt with by software means, like anti-gradient software. However, some are caused by the optics of your telescope, a mismatch of telescope optics and chip, a narrowness of the end of the telescope restricting the path of the cone of light from the primary. This is vignetting, where the middle circle of the chip appears to be more brightly illuminated than the corners, and this is actually the case. The easiest way to deal with it is with flat frames. A flat frame is a photograph of a white evenly lit area, and what you should get of course is an evenly lit white frame, but instead, you get a frame that shows the vignetting your system suffers from, ie. It also has the central circle well lit and the corners darker. It will also have the shadows of any dust particles on the chip or its window. These show up as darker discs or circles, doughnuts. As both the light frame and the flat frame are digital pictures you can do some mathematics and dividing the light frame by the flat cancels out the variation in the background. M31 taken with an M25C and 80ED complete with vignetting, dust shadows and haze. This is a flat taken of a white painted square on the inside wall of the dome. The final one is the light divided by the flat (in AstroArt4). Vignetting and dust shadows gone, but not the haze unfortunately. For this to work you must obey some basic rules. 1. The flats must be taken with the telescope and camera at exactly the same settings as for the light frames, don’t change the focus, even a little, so your best plan is to take your flats immediately after your lights. Temperature isn’t important if the exposure is under 15sec or so. 2. The exposure must be long enough to register on the chip, but not long enough to saturate the pixels. Between 25 and 60% of saturation would be suitable. 3. The flat frame must be taken of a white evenly lit area, anything that will ensure the light going into the end of the telescope is white and even, to enable the chip to picks up the variations in the light caused by the optical system only. The even white area in my case is a white painted square on the inside of the dome, lit indirectly by the dome’s interior light and for good measure I put a white T-shirt over the end of the telescope, stretched and held there with a rubber band. A friend uses a light box as used to study 35mm transparencies. Many make their own light boxes, some use morning or evening twilight, though this is more difficult as the light level changes quickly then. How much exposure is enough and not too much? Check the camera maker’s website for details. You need the Full Well Capacity and the Gain. In my camera an SX M25C, the Full Well depth is 25000 e and Gain is 0.4 e/ADU. Divide the 25000 by the 0.4 to get 62500 ADU. 25% of this is 15625 ADU and 60% is 37500 ADU. You’ll have to practice a bit to get a exposure that gets that amount with your kit. But don’t go for long exposures or you’ll have to consider the noise and then the temperature…. ADU? Analogue to Digital Units, a measure to indicate a level of brightness. Your acquiring software will tell you what the level is at each pixel as the mouse runs over it or as an average. In my case AstroArt shows the number at the bottom left of the screen, use the second number at the bottom left, the Max number. You should take flats through every filter you use and in processing use the red flats with the red lights etc. 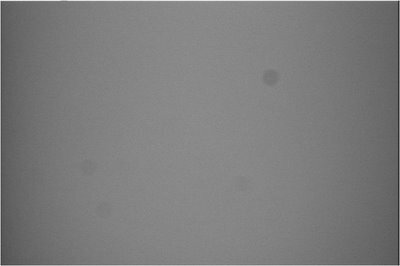 With my M25C, I aim for 16000 to 20000 ADU, and I can get this, actually about 17000 ADU, with exposures of 3sec., of a matt white painted square on the dome wall, lit by two dome lamps equally spaced each side of it, with a white T-shirt stretched smoothly over the telescope end. I take 25 frames. Then at home in processing, I use the AstroArt preprocessing page and drag the flats to the lights box and average stack them using “none” as the alignment method, nothing else checked. Then de-bayer the result and save it as a .fits master flat. Mine are usually named Target-Telescope-Date-MASTERFLAT.fit. Then, back in the preprocessing page, I drag the master flat into the flats box, and the master bias into the F.Darks box and the Darks box too. Then the lights into the lights box and set the other parameters, including the colour systhesis, to suit the occasion, and run it. The master bias? 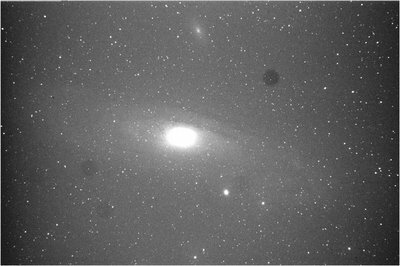 That’s an average, made like the flats, but of a series of 50 or more frames of .1sec each, with the cover over the telescope. I make a new master bias every 6 months or so and use the same one every time I do any processing on the pre-processing page. The result is a nicely flattened and coloured frame which I then save as a tiff file, (a tiff data file), and load it into Photoshop for the rest of the processing.